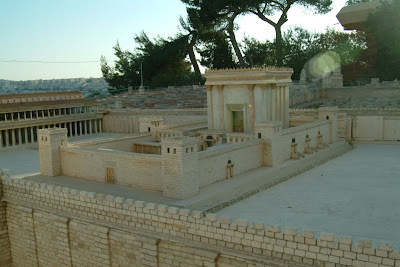 A scaled model of the temple Solomon built in Jerusalem. So, what is the definition of wisdom? Wisdom is the capacity for supernatural insight into the true nature of things paralleled by the ability to discern a correct mode of action with a view of the results of such action. Solomon was such a man, but the secret to his wisdom started before he had wisdom. It started with one great quality: humility. We see this immediately upon being crowned king. The Lord appeared to Solomon in a dream and said ‘ask for whatever you want Me to give you’. The Lord’s words were like having a genie in a bottle. . .whatever you want!!!! Solomon’s response to this very open ended opportunity for ANYTHING he wanted was; ‘now, o Lord my God, you have made you servant king in place of my father David. But I am only a child and do not know how to carry out my duties’(1 Kings 3:5-7). Wow! He didn’t respond based upon a desire for wealth, possessions, women, battlefield success, a starter castle, or a Mecedes Benz that would bring the appearance of immediate success. He responded based upon the humility in recognizing his own inability to lead. He recognized it was not his ability that got him the coronation; it was the Lord’s ability. He recognized that in the world of leadership, he was a child, was immature, was lacking in what it would take to successfully lead people spiritually and politically. All wisdom begins with humility. It starts by recognizing your own insufficiency to govern. It starts by recognizing the need for greater maturity as a leader.